Brow Artist Genius Kit is the ultimate all-in-one brow kit. The kit contains a styling wax, a tinted powder, an angled brush and a spooled brush. The pigmented wax holds for 12 hours and the natural shaded powder allows for buildable color. Made to measure eyebrows for whichever look you are going for: natural, defined or graphic. The result: Defined and fuller looking brows. Long wear. 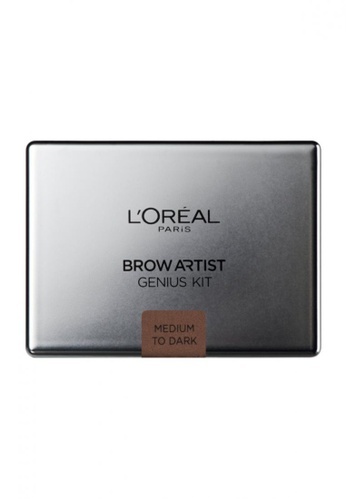 Can't find L'Oreal Paris Brow Artist Genius Kit Dark in your size?